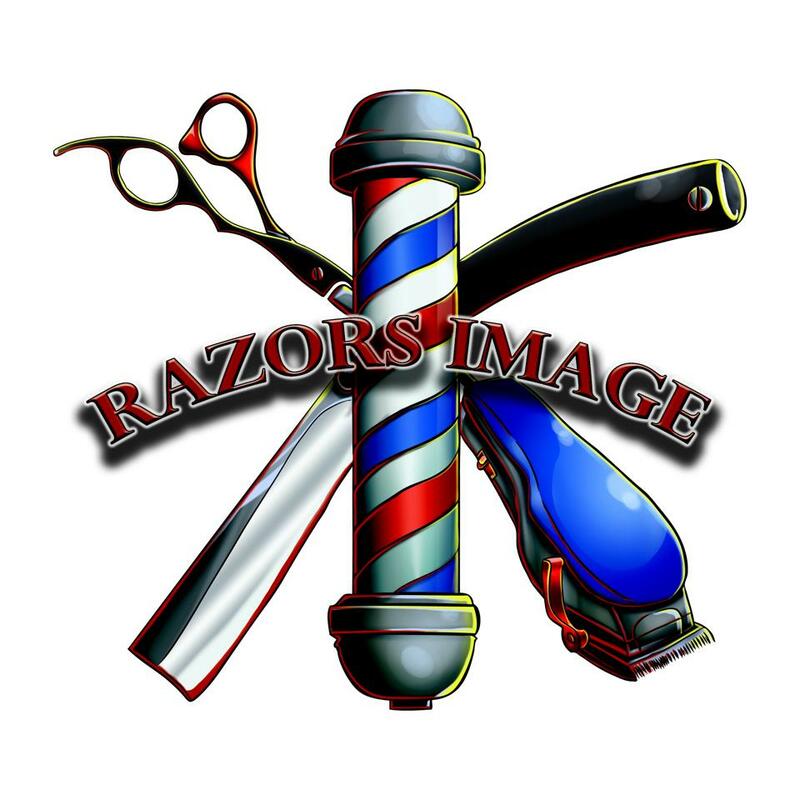 Razors Image is a high quality, multicultural Barbershop and Salon. Our team of professionals believe in continuing education to maintain the best resources for delivering proper care and maintenance of hair, skin, and scalp treatments, as well as cuts, styles and shaves. Not only are the clients our #1 priority for sharing our knowledge and passion of our craft, we also strive to share ideas and values with our clients to better the community as a whole. Aaron is alway looking to vibe and network with other professionals and especially barbers to further improve his professionalism and his craft. Aaron’s personal hours of operation are Thursday through Sunday by appointment only. 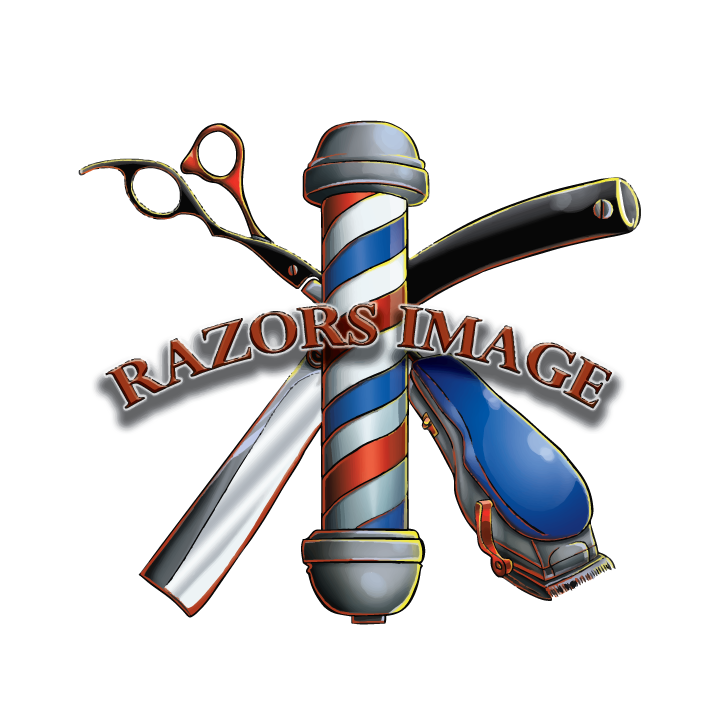 At Razor's Image Barbershop & Salon, our mission is to provide the best hair cut in Bloomington for men, women, and children while also giving the customer a relaxed atmosphere and great conversation. Below is a list of our most popular barber services. Click here for a full menu of barber and salon services with pricing. Aaron is a Master Barber & Stylist who holds dual licenses in both Barbering and Cosmetology as well as an Instructor License. Aaron is currently a Instructor and Owner for Premier Image at Indiana Cosmetology Academy. 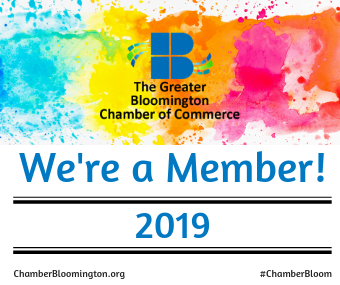 Aaron was born and raised in Bloomington and currently resides in his hometown with his wife Kristi and two sons, Kyle and Kameron. He is a driven, hard worker. Aaron owns Razor’s Image Barbershop and Salon, Premier Image Barber Education Program, and Imperial Image Product Line. Aaron has been in the barbering profession for 21 years, and opened Razor’s Image 7 1⁄2 years ago. He loves the industry because it doesn’t feel like work to him. He is committed to providing a high quality experience for his clients and promoting healthy hair and scalp to all guests. Aaron is determined to promote education and networking to young industry professionals as well as education to his clients on how to maintain their own personal healthy grooming habits. Aaron Brown loves people. He services a large variety of clientele and values his friendships he has made over the years. Aaron takes interest and care in his clients and pride in his work. Dondray is a Master Stylist who holds a dual license for both Cosmetology and Barbering. He has been in the industry for 10 years and brings plenty of experience and creativity to the shop. Originally from Bloomington, IN, he is the brother of Aaron Brown, and has grown up in a family with a passion for hair arts and the cosmetology industry. Family –including his dog Jada- is very important to him. With all things hair being his passion, Dondray thrives for quality finishes on his work. He loves to see the client’s face when they see the finished work product, the good results. He loves to transform the hair with cuts and styles. Dondray’s dream is to own his own shop one day. 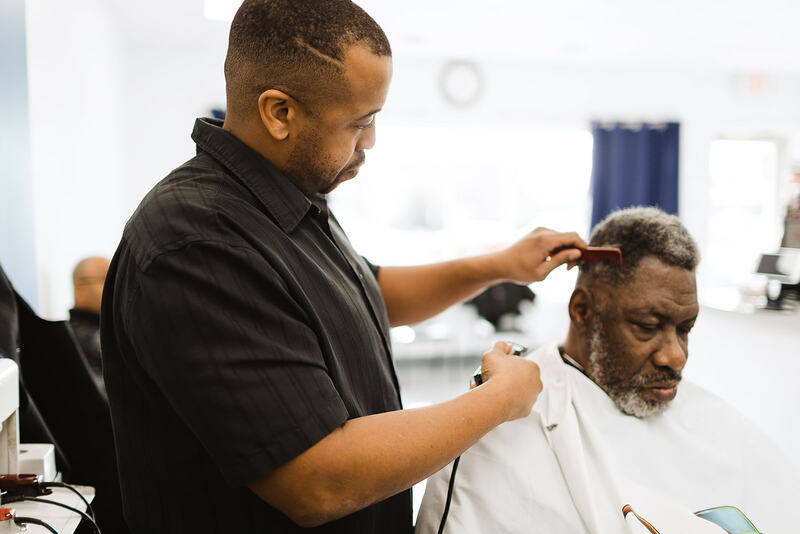 Andrew is a Master Barber who holds barber licenses in Indiana and Illinois, and has an Instructor License in progress. Andrew is currently a Jr Barber Instructor for Premier Image at Indiana Cosmetology Academy. Mr. Stadeker has a BA in African American Studies, MA in African Studies, and soon will hold a PhD in African American and African Diaspora Studies. Originally from Chicago, Andrew currently resides in Bloomington with his wife and two young sons. He is a gamer on the phone and ps4 and enjoys Roulette at the casino. Andrew is a cool, mellow personality at the shop. Andrew has been in the barbering profession for 20 years, and with Razor’s Image for 2 1⁄2 years. He loves the industry because it doesn’t feel like work to him. He is addicted to the feeling he gets when his clients are absolutely satisfied with their cut and when they feel and look amazing. Andrew finds it interesting that Razor’s Image clientele come from all over America and around the world. He feels that the shop customer base may accurately represent the populations around the world in correlation to their respective percentages. He is very excited to be working as a barber. Andrew values the relationships and friendships he has created over the years and the people he has met. His long term goal is to own a barber school in a different country. Stay tuned as we introduce a new team member! Chris is a Master Stylist who holds cosmetology licenses in Indiana and Ohio, and has both an Instructor and Barber Licenses in progress. Mr. Burke is currently a Jr Barber Instructor for Premier Image at Indiana Cosmetology Academy. Chris has been instrumental in creating a network and online community of barbers and some of the top professionals in the industry. Chris is originally from Indianapolis and Columbus, OH. He splits his time between Ohio and Indiana for family and work. He is married to his wife, Stacy and has six children: Christopher II, Kaaren, Jordin, Judah, Benjamin, and Gabriel. Chris has been in the barbering profession for 25 years, and with Razor’s Image just under 1 year. He loves being a stylist/barber because of the relationships that are built between himself and his clients, staff, and community. The uniqueness in the diverse clientele of Razors Image intrigues Chris. He feels that our customers have plans to do big things and initiative to make it happen. Chris is a go-getter, jack of all trades type and he loves old school hip hop. He is a forever- learner and a social butterfly. Chris is an advocate for community, outreach, and in particular for mental health. In the future, Chris has a goal to become an industry-thought leader, expert in business, and historian in all aspects of men’s grooming and beauty culture. Kristi holds a degree from Indiana University and 17 years of business ownership experience. While she doesn’t work behind the chair, Kristi is a member of the team on the business side. Kristi runs the office and supports the business needs for Razors Image Barbershop and Salon, Premier Image Barber School, and Imperial Image Product Line. Kristi – Aaron’s wife– was also born and raised in Bloomington. She enjoys time at home with their two sons Kyle and Kameron, coaching dance teams, and supporting her husband’s vision and business goals. Kristi is a go-getter type with a personality to get things done. She likes organization and productivity. After 17 years of owning a dance studio and teaching children, she changed career paths to provide business support to Aaron’s vision and a hand at rebranding an already established and busy shop. Kristi welcomes the change as leaves her more time with her family and the ability to work with her husband.